I have been busy lately. Too busy. Between getting new sheep, reading numerous books, battling diaper rash, and trying to keep up on everything...this mama is spread thin. And to add onto it all, I've been feeling terrible. Downright cr@ppy. Pardon my French, but it is the best description. I have had to temporarily cut out milk. I might have to cut out dairy altogether. If you knew how much I love and miss my daily glass of milk, you would know how I suffer. I love milk. I love the taste, how it stops the hunger pangs, how the rich creaminess of my beloved raw milk satisfies my sweet tooth. Alas, it is gone. For now. My gut cannot handle it. The few times I have broken down and had a small glass I end up paying the price for the rest of the day. I get cramps. Bloated hardly describes my midsection. Let's face it...I look like I'm 5 months pregnant when I drink my favorite beverage. So, so, sad. Wait! There's hope on the horizon. I think I've found the cure and no it's not lactaid or pills. It's an amazing way to heal my gut, restore my digestive tract to normalcy, and make me able to eat and drink the things that I love. This is quite the commitment, but when faced with a life without dairy...it's worth it. My digestive issues aren't the only reason that I'm doing this. In fact the whole fam is going to be doing this as well. My son, who has similar issues like mine, has SEVERE allergies to oak trees. Last April, when the oak trees started to release all their pollen, my poor boy suffered terribly. And when I say suffered, I mean it. His poor eyes almost swelled shut, the skin of his eyelids were flush with his forehead and cheekbones, and were the color of a plum. You would have thought that he was in a boxing match...and lost. In my research to figure out a way to help my son I soon realized that allergies start with a 'leaky gut' or in other terms an unhealthy digestive system. Hippocrates said, "All disease begins in the gut." And he's right. Allergies, be it food or environmental, have to do with gut health. Isn't this just thrilling, keep you on the edge of your seat, holding your breath, earth shattering news? I think so. It has changed the out look of my son's life during allergy season. I hope to heal his gut so he doesn't have to take allergy medicine every year. It has given me hope to be able to consume what I love again, and not have to settle for second rate dairy substitutes. Hence, why I am doing my best to convert my pantry, thinking, and cooking methods to be a traditional foodie. And if this isn't enough of a lifestyle change, I thought I might add on another whopper. Oh, yes...I dare. I even put in my order of cloth diapers, wipes, and etc yesterday. Seriously. They are adorable, save money, are better for baby, and I'm sure I can come up with more reasons as soon as I am becoming acquainted with my new cotton beauties. The company I ordered from is Green Mountain Diapers and I am thrilled with their products thus far, and their customer service is impeccable. They answered all my questions and then some. If you are considering cloth diapering, I would recommend this company. Plus, my money supported another family owned business who happen to be believers. A win win in my opinion. And a myriad of other cloth diapering goodies that I won't list. These are the nuts and bolts of the set up. You may think I'm crazy. I might be. I am excited about this and will do a follow up post when I get my goodies and put them to some good hard use. 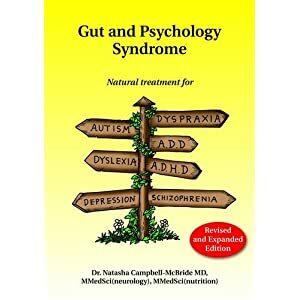 So for now, I'm in the trenches of learning about the gut, healing the gut, and disposing of what comes forth from the gut. Gross. Too much info, ya? Hope your week was splendid! Pssst! Our green house was finished yesterday. Wait till you see it. It's prettier than the rest of our house. Seriously. ***I learned about GMD from a blog that I love to read. Visit it sometime. You will be glad you did. Thanks for you kind words! I am currently washing and washing and washing my prefolds. Apparently, you have to wash them enough to 'break them in'. I'll post on it soon. Thanks so much for visiting my blog and I hope to see you again here soon. Lord bless! We use these same cloth diapers, green mountain.... Love them! We have some all in ones, but I actually prefer these. They absorb so much. I have NEVER had a leak in these. We started cloth diapering in Aug with our 3rd and ony wish I had done it sooner. Any questions, visit me at www.counthisblessings.com. I had to learn everything on my own, so I would love to help. Blessings! Glad I found you blog! Thanks for your kindness! I will definitely ask you if some questions arise. I hope to see you again soon. Lord bless!